Discover What Lights You Up! Part 2 to yesterday’s post…. Wherever you are at is perfect in the inquiry. The good news is that in a split second you can really choose to start taking care of you (which makes it so much easier to take care of others once you have given yourself some love too) and make fitness and food choices that line right up with what you want! Start by doing some research….what are things that you do that make you super happy? Do you like to swim, dance, bike, run, play volleyball, golf, Frisbee, spend time with your dog? Whatever it may be, look into it. Make a list of your top 10 favorite activities, then narrow it down to 5! Find places/programs around the city or near your work or home (the way to really win is make sure you make it easily accessible to you…ie. by work or home. This will give you a greater chance to sticking with it on those days the “I don’t wanna’s” show up!) that light you up! Get in touch with whoever runs those programs and the schedules and then book it into your calendar. Make a 3 month commitment to try one or more for 3 months. Give it an honest GO and see what you enjoy. Then, once you have established what you enjoy doing, do lots of it. Look at your schedule and see how you can fit a minimum of 2-3 hours a week in just for you and a fitness routine. People constantly tell me how busy they are. I totally understand HOWEVER taking 2-3 hours that are just for you, I GUARANTEE will have you be more productive in the hours you spend working on what it is you work on and you will most likely be able to accomplish it all in less time. The goal for 2015 is to have you win. Win in your life, win physically, win emotionally, win mentally! It is a great game to play and one worth playing! If you have dance of ANY form on your Top 10 list….you should fill in the form below and let me support you in getting your GROOVE on! Discover Your Passion and Make it Your Purpose! Excited at first. Delighted with the tasks I had in front of me and then at some point….I would lose my passion or drive for it. It became a J-O-B….just something I did to pay the bills. While I continue to do it well, in my heart I always would know when the passion for it had left. Upon discovering Zumba it was like my whole body came alive. I never saw it as a career or something I would be passionate about. It was just that class I took on Thursdays that allowed me to stop thinking or worrying for an hour. When my instructor approached me one day and said I should teach this, I thought she had lost it….but later that night I began to think about it and weeks later, I found a training and threw my hat over the wall and went for it. I started out small….teaching one class a week for about 6 months….then two classes for about another 6 months….then four a week….then (rearranging my day job to accommodate more classes) six classes a week…..then it just got out of control! I realized that what I was doing for fun and what I loved were colliding together and it was awesome. I was suddenly consumed by choreographing…dancing on the subway to make up new routines…figuring out how I could do more classes and who else could benefit from this! My passion became my purpose. Now, nearly 2 years later on my own building this, I continue to live my passion and know that my purpose is to have people see how AMAZING they truly are and what they CAN accomplish. Do I always win? No. Do I get back up and keep going? Yes. Will I ever give up on anyone? No. Everyday is a gift. The moment your eyes open, you have been given another day to make the most of. 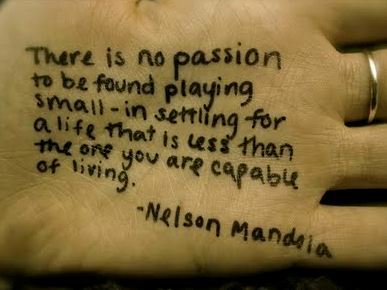 Do not play small. Go for your dreams. Create visions. Dance like nobody is watching…..LIVE! I want to me you. Come dance with us! Check out the schedule and take the LEAP onto the dance floor! I Know The Benefit of Fitness First Hand…It Can Change Your Life! In my last post, I let you in on this area of my life where I struggled. I don’t even know if I would call it a struggle as much as I would say it occurred like a deep dark tunnel to which I may not get out. GOOD NEWS….I did get out of it as you can now see! The issue at the time for me was everything in my life that I was making bad and wrong for having happened and then making myself bad and wrong for having thoughts that it was bad and wrong. One of the best things I did and it was for a whole lot of health reasons at the time (mental, emotional and physical), was I turned to fitness. I had a friend who was a trainer and ran me and while I will most definitely tell you I didn’t enjoy running all that much, I did enjoy the feeling in my body after a good run. It was euphoric. I felt lighter. I could breathe clearer, think clearer and I found myself smiling more and more. There is just something about working out when you increase your heart rate and MOVE YOUR BODY instead of curling up in a little ball that pushes all the negativity out! I swear it was like having the upset, angry, depressed me being shot out my finger tips and toes. Day after day of training, I became happier, confident and before I knew it, ready to take on the world!! This is why I am so lit up about supporting others with fitness. Fitness takes on so many forms from Zumba, running, yoga, LAUGHTER yoga, spinning, swimming, tennis, horseback riding, squash, boot camps, aqua aerobics, weight training, hockey, basketball, football, figure skating and even hoola hooping!! Exercise is exercise and the point I am making is that you too can have that awesome feeling that fitness provides by finding something to do that lights you up….that you won’t give up on….that is an expression of who you are! Music is heavenly to me and any time I can move my body to music and especially teach others how to, I am IN! Laughter….well seriously….I don’t know anyone that would dispute having a great belly laugh every now and then and how great is it that you can actually get a work out laughing?!?!!! COME ON! !….That is just all sorts of AWESOME in my books! Wherever you are at in thinking about fitness….want to start…have to start…just starting…well on your way…a pro…wherever you are at, just know that fitness is an outlet to bringing on the HAPPY in your life and if you are ready to dance and laugh, I am here to support you and your friends and family in meeting ALL your fitness needs! 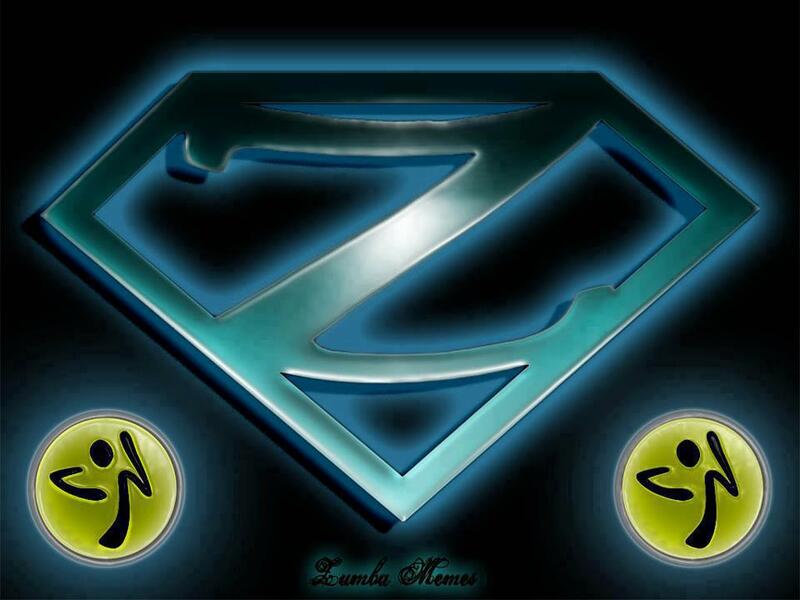 For The Love of Zumba!!! As a zumba instructor, I am fascinated by statistics on social media surrounding Zumba. With over 5.6 million people as facebook fans of zumba through social media and over 90,000 people talking about it daily….I am always amazed when I meet someone who has never heard of zumba. Those numbers just seem so big to me! However, I am a small city prairie girl so numbers like that just seem HUGE to me no matter what I guess! All I really get from that is that is a lot of people AND there are nearly 7 billion people on the planet so really, that number is just a pin drop of penetration zumba has made. Why do I LOVE zumba? When I found zumba I was looking for a way to workout that was fun and didn’t “feel” like a workout. I didn’t need to “pump iron” or run on a treadmill to get fit, nor did I ever want to. I could literally do what I love to do (dance and be silly), AND not even really need to be good at it to get it! The goal was to move my body for 60 minutes! My first few classes I pretty much laughed all the way through and then it was like magically my feet began to follow the steps and away I went…..This Scottish Norwegian kid from the prairies could move her hips like she was raised in Brazil! Who knew??!!! Years have passed since that day and statiscally Zumba has become more and more known in the world, however, I am committed that more people have the opportunity to experience fitness in a fun and literally FREEING way! If you have never heard of zumba or even just wonder why I am so happy ALL THE TIME, contact me and let’s get you moving too!! If this Scottish Norwegian prairie girl can get it…..so can YOU!! !